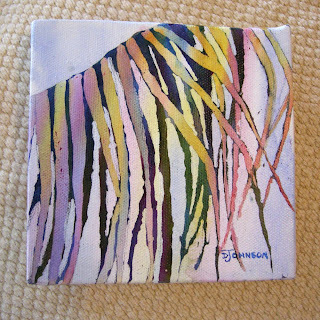 This piece is five by five inches, and it is watercolor on canvas. Yes...on canvas. I've been playing with pouring watercolor, well, I splatter more than I pour, but I have been experimenting with this technique on canvas also. So much fun. The canvas must be treated with a white absorbent ground, then it will accept the watercolor pigments and even masking fluid beautifully. Once the painting is completed it must be sprayed with a UV clear coat to protect it. One feature I love about the completed paintings executed on canvas is that the paint drips over the edge and creates beautiful color blends on the sides of the gallery-wrapped canvas. They are too pretty to cover with a frame! 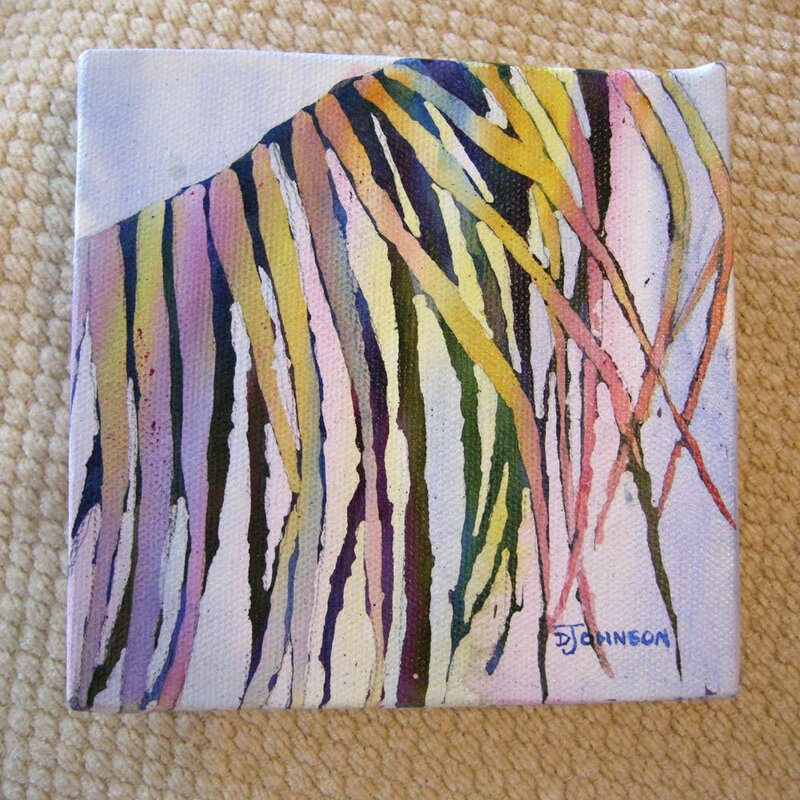 This piece was just listed on my etsy shop and I have another one there also, which is a miniature on canvas.